A little more than a week after revising its execution procedure manual, the state of Tennessee is scheduled to use a lethal injection to execute a man convicted of murdering a police officer. Philip Workman, convicted for the 1981 shooting death of a Memphis police officer, is scheduled to die Wednesday at 0600 GMT. It would be only the state's third execution in 47 years. Workman's execution was halted last week over concerns about the revised execution method, but a panel of the 6th U.S. Circuit Court of Appeals lifted that temporary restraining order Monday. In a 2-1 opinion, Judge Jeffrey S. Sutton wrote that Workman has never before challenged the state's three-drug lethal injection procedure. Workman's lawyers claimed Tennessee's new death penalty guidelines unveiled last week could cause unconstitutional pain and suffering, but similar arguments have failed in the higher courts, Sutton wrote. "The Supreme Court has never invalidated a state's chosen method of execution. No court has invalidated the three-drug protocol used by Tennessee (and 28 other jurisdictions)," Sutton wrote. On Tuesday, Workman's attorney, Kelley Henry, filed a petition asking the full court to reconsider that decision and grant a stay of execution, arguing that the panel did not have the authority to stop the restraining order. Workman's attorneys planned to appeal and ask for a hearing by the full court Tuesday. "We will continue to fight," federal public defender Kelley Henry said. Gov. Phil Bredesen imposed a 90-day moratorium on the death penalty ending May 2 to give the state time to fix the procedure manual. An Associated Press review found the manual was a jumble of conflicting instructions that mixed lethal injection instructions with those for the old electric chair. Some legal experts say the new guidelines still need more scrutiny. Richard Dieter, executive director at the Death Penalty Information Center, a group that researches the death penalty but does not take a position on it, says the revisions don't address concerns over lethal injection that other states are debating. "There's real concerns over the drugs, dosages, the presence of doctors during lethal injection," Dieter said. "It seems what Tennessee did was fix their older protocols which hadn't been well-written or thought out ... but did not review the major questions like, are the anesthetics working? Are the drugs causing unnecessary pain? Should a doctor be there to monitor whether the person is under anesthetic?" Besides Tennessee, executions have been halted in 10 other states so procedures could be reevaluated: Florida, California, Missouri, New Jersey, Arkansas, Delaware, Maryland, North Carolina and South Dakota and Ohio. 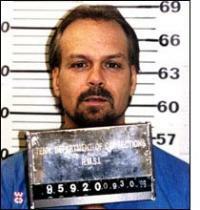 Tennessee executed Sedley Alley last June and Robert Glen Coe in 2000 both by lethal injection. The last previous execution was by electrocution in 1960. Brad MacLean, a Nashville attorney representing another condemned Tennessee inmate, said the three-chemical injection sometimes fails to work and can cause the paralyzed inmates to suffocate and feel pain. At least 30 states use the three-drug injection: thiopental, an anesthetic; pancuronium bromide, a nerve blocker and muscle paralyzer; and potassium chloride, a drug to stop the heart. "The fact that they're continuing to use a protocol, a three-chemical cocktail that's been criticized throughout the county, just illustrates the state is not willing to take a serious look at the problems," he said. Workman, 53, was robbing a Wendy's restaurant and got into a gun battle with police. He wounded one officer and shot at a second, but he contends another officer's bullet accidentally killed police Lt. Ronald Oliver. Last week a three-member 6th Circuit panel also denied Workman a stay of execution based on separate claims that he was convicted on perjured testimony and that the state withheld evidence that would have established Workman's innocence. Workman told The Tennessean newspaper that the state's new execution procedures would do little to ensure his death is not painful and inhumane. "It didn't fix anything," Philip Workman said in an interview at Riverbend Maximum Security Institution in Nashville. "You can't move if you're in pain. You can't bat your eyelashes. You can't do anything." Workman's execution has been delayed on five prior occasions twice by stays granted by the 6th Circuit Court of Appeals in 2000 and 2001, once by a stay granted by the Tennessee Supreme Court in 2001, once by executive reprieve in 2003 and once by the federal district court in 2004. Terry Workman, Philip Workman's brother, said he believes the state is intent on putting his brother to death this time. "It would be kind of like standing in front of someone with a loaded weapon and you're wondering if they're going to shoot you," he said. "If the 6th Circuit doesn't help him this time, the state is going to execute him. They want to be done with him. It doesn't matter if we have all this evidence. The way the state looks at it is, it was a police officer who was killed and he (Workman) caused the situation to occur. They don't really care whose bullet it was."